At some point in a wedding photographer’s career, a curious guest at the dinner table will ask them “What’s the worst thing that’s ever happened at a wedding you photographed?” In truth, something goes wrong at every wedding, but professional vendors do their best to rectify situations quickly and without disrupting the wedding day flow. Here’s why when you hire a professional wedding photographer you might be getting even more than you bargained for. Acts as a Semi-Professional Weather Forecaster. If you think you’ve been obsessing over the weather forecast for your wedding day, rest assured your photographer has been too. And while you are praying to the weather gods to shoo away the 80 percent chance of rain forecasted, your photographer has likely been calling local indoor hotels, museums, and any other photo-worthy locations to obtain permits or permission to photograph there. They’re on local wedding Facebook groups asking other photographers if they know of good places to photograph while being sheltered from the rain. 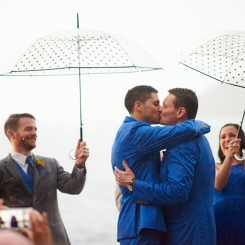 They’re running to Target to buy as many white golf umbrellas as they can find. While you are at the salon, they’re checking their weather app and seeing when the breaks in the weather are. Most importantly, they’re making a plan so that no matter what the weather brings, you will have amazing photos. Has Relationships with Local Vendors. Want to know who has the best cake in the city? What DJ keeps the floor rocking but doesn’t do cheesy air guitar impressions when working? Ask your photographer. ISPWP photographers have photographed at least 50 weddings as the lead photographer (and most have photographed many more weddings than that), so they’ve seen the good, the bad and the ugly. While most pros won’t outwardly disparage another vendor, they will happily tell you their favorites. They want to work with vendors who do a great job and provide beautiful things to photograph! 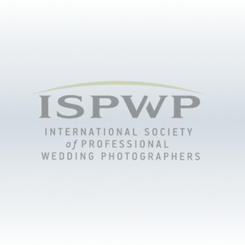 You’ll spend more time with your wedding photographer than any other vendor on your wedding day. 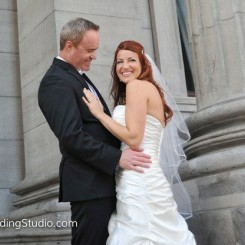 Having a trained, professional photographer who makes you feel comfortable will show in your wedding photos! When you choose an ISPWP Photographer from your area, you can be sure that you are hiring the best of the best. To find a qualified photographer in your area, visit our homepage. That's absolutely true, great photographer should create amazing pictures in any weather conditions, we know something about that we we are based in Scotland and have plenty experience working with rain, which in our opinion add great artistic effects to photos.